WARNING: This article contains SPOILERS for Wonder Woman. When Wonder Woman arrived in Batman V Superman, fans were dying to know what caused her to spend a full century hiding from the world - a question that her origin movie in World War I promised to do. 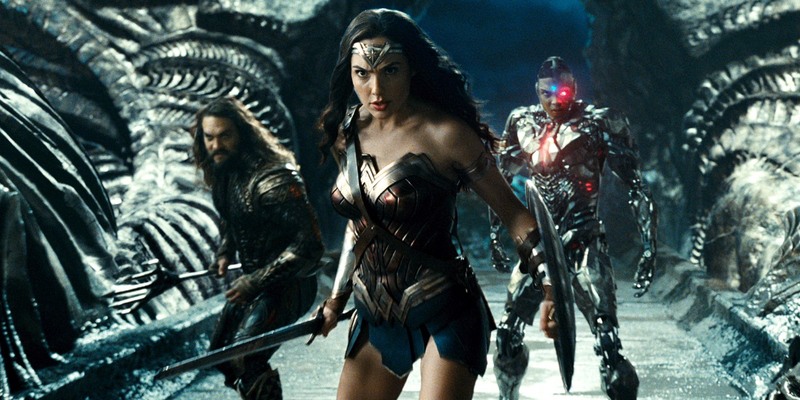 The film succeeded in showing why Wonder Woman is a better hero than Batman or Superman as the DCEU heads towards Justice League, but with Wonder Woman itself ending on something of an inspiring, victorious ending... fans are starting to wonder if her claim in BvS is a plot hole unaddressed. If Wonder Woman managed to end the war and defeat her enemy, why did she turn her back on mankind for the next hundred years? 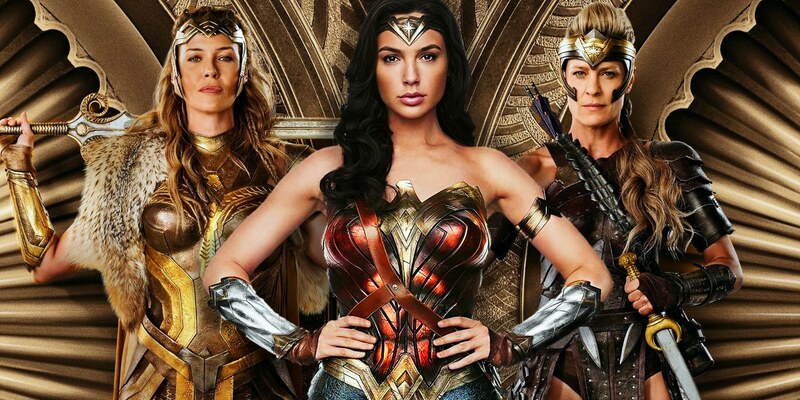 It's a question more and more fans and critics are asking, with even director Patty Jenkins explaining Diana's words, from her point of view. Still, the movies themselves are what most fans will be seeing, and using to answer this question. Unfortunately, the addition of Wonder Woman's story only makes BvS better if the audience remembers to reconsider what they used to believe. In this case, Diana's words - and her reason for being in the movie at all - may have changed in light of her very own movie. We're here to help fans understand, and answer the question of Why Wonder Woman 'Walks Away' From Mankind After WWI. "A hundred years ago I walked away from mankind; from a century of horrors. Men made a world where standing together is impossible." Combining her claim of "walking away from mankind" a century earlier with the photo of her in World War I, fans inferred that whatever happened during World War I soured her on mankind to the point of abandoning them to their fate. With the majority of the movie seeing Diana tracking down the photograph proving her existence and immortality, and resisting any urge to join Batman or Superman, it seemed safe to assume that was how she had spent the previous century. She may not have been able to physically leave the world of mankind, meaning she had "walked away from mankind" in the sense that she had lived a secret life, hiding her powers, having had whatever heroic urges brought her into WWI quelled by a brutal war that led into "a century of horrors." Again, that's how audiences interpreted the words, with only her appearance in Batman V Superman to inform them. But that's not the case anymore. It should come as no surprise that seeing Wonder Woman only improves Batman V Superman - even aside from the surprisingly detailed Diana story running through the movie. Mainly, it's the obvious benefits of seeing how Diana turned from a wide-eyed, optimistic crusader for worldly protection into the wiser, stoic, more guarded woman we see in the modern DCEU. But in terms of actual, material links between Dawn of Justice and Wonder Woman, there is none more obvious or misunderstood than the daguerreotype photograph taken of Diana, Steve Trevor, and their band of brothers. The photo that Diana was chasing down in the previous movie, for what fans could only assume was the sake of secrecy and privacy, having spent a century avoiding detection. In this new light, some of the original assumptions have to be questioned. After all, Diana is happily employed at The Louvre in Paris, implying her attempts to 'hide' from the world may actually be limited to 'keeping people from knowing I'm an immortal demigoddess.' So if Diana is making friends, remembering loved ones, and going to work like the rest of humanity, what did her claim of "walking away from mankind" after WWI mean? And why was she resisting the urge to jump into combat alongside two American superheroes? With no horrifying defeat, no disillusionment unresolved, and defeating her enemy, Ares, with her belief in the power of love... why did Diana walk away from mankind? Why, if she killed Ares, did war continue? Why did World War II happen? And why didn't she show up to stop it? These are the question being understandably thrown around by viewers, and the ones that some outlets and critics are actually pointing to as DCEU plot holes, mistakes, or continuity errors. That's far from the truth, and viewers need only to remind themselves of why Diana left Themyscira in the first place to understand the reality. She explains to Steve and her mother, just as it was explained to her, that the Amazons exist to defeat Ares. She believes what she was taught: that Zeus created Man to be good, and Ares corrupted them into doing terrible things. Zeus created the Amazons to pull mankind back from the corruption of Ares. After the death of the gods, Zeus concealed the Amazons so that they could return to defeat Ares once and for all, should he arrive to corrupt and destroy mankind once more. He did. So Diana left Themyscira to make good on the Amazons' duty. She did. At which point... well, her job was more or less done, and the Amazons' duty fulfilled. Seeing her defeat Ares by claiming she "believes in love" and in the goodness of mankind may lead the audience to assume she's accepted the mantle of their protector, but she's neither a human nor a 'superhero.' She's saying it in opposition to Ares, who believes mankind is evil at heart and therefore should be utterly erased from the Earth. Wonder Woman believes that mankind shouldn't be written off, or at least that Ares is seeing only the worst of them - as she has, as well. So she follows the destiny and duty of her people, and rids mankind of the corruption of Ares. With her job done, and no home to go back to... Diana began to live a life of her own, apparently keeping her secrets and powers to herself. Remember: there were no other superheroes at the time, and as far as we know, no other supernatural or superhuman threats ever came to humans for decades. She simply stepped back, and let mankind continue on as it chose to. Ares revealed just how little pushing or seduction humans needed to commit horrors while wrapped in the Lasso of Truth, so Diana knows that the story she was fed as a child isn't entirely true. Men are good. Men are evil. But taking on the task of overseeing the planet on a micromanaging scale wasn't what Diana planned, nor was it ever her duty (or right, to be honest). And the century that followed clearly convinced her that Ares saw at least some of the truth of mankind. In the end, the distinction here is only a 'plot hole' or 'inconsistency' if viewers limit their interpretation to explicitly what is shown on screen. Even Wonder Woman's director has denied a continuity error, explaining that 'turning away from mankind' just as likely means Diana realized humanity needed to save itself, or that she couldn't save everybody from the reality of mankind. 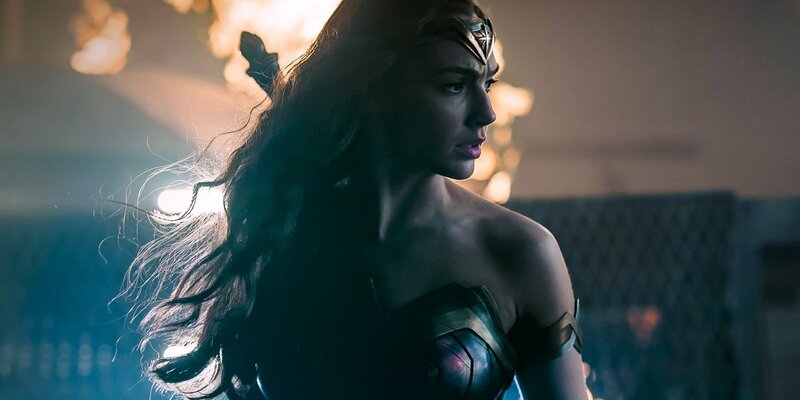 The audience is given enough in her own film, with Queen Hippolyta telling Diana that men are easily corrupted, and that they do not deserve the Amazons' protection. Assuming Diana took some time off after fulfilling her people's ancient duty, she would see World War II started by men all on their own - a war that she neither could have, nor was duty-bound to prevent, fight, or win. We don't know that Diana stopped being a hero in some form or another, but having seen what Ares caused by meddling with humans, we're willing to assume she decided never to follow in his footsteps. A demigoddess exercising her will over people was the opposite of what she was raised to be. 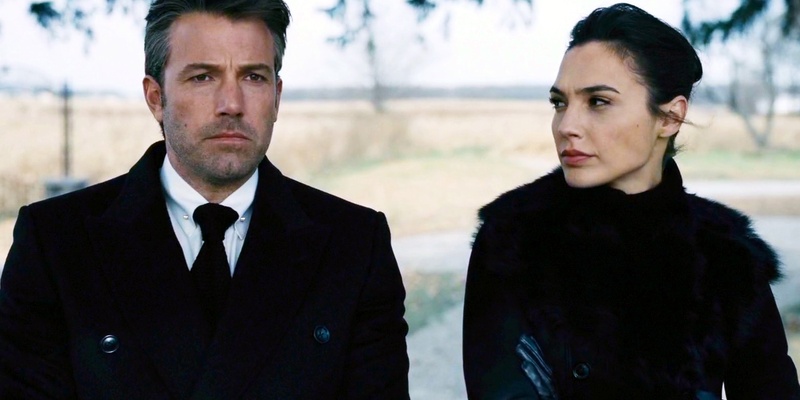 A Wonder Woman movie sequel could shed some light on how Diana spent the intervening years, and her origin movie's ending certainly suggests that Superman's death has stirred something inside of her. But her words to Bruce matter more to the future of the DCEU than the past. She hasn't walked with mankind for a century, but the time may be coming when she needs to defend it from an enemy far greater than the God of War - the God of Apokolips.